Matador’s BBQ Grill Basket allows you to cook without the mess. Made from quality, easy-to-clean stainless steel, it features an open design that allows food to be contained while the heat and flames add that great BBQ flavour. 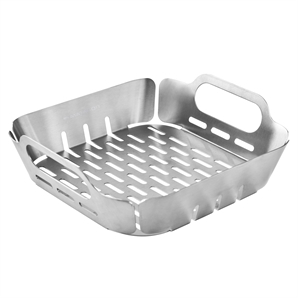 Use the BBQ Grill Basket individually or purchase multiple baskets, for entertaining larger gatherings. 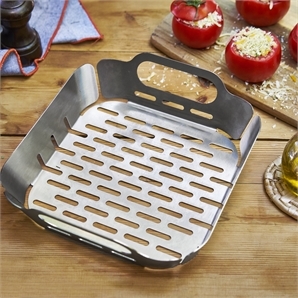 Also great for serving BBQ foods direct to the table.